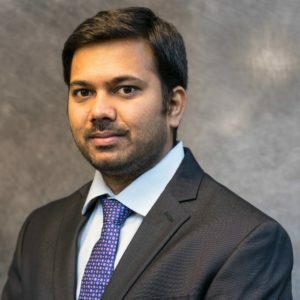 Vinaya Kumar is a staff researcher at INL, Microfabrication and Exploratory Nanotechnology group, where his research focuses on the developments of Hybrid Sensing Devices. Vinaya Kumar completed his PhD from Indian Institute of Science (IISc), India in 2015. In his Ph.D., he worked on the development of microneedle and micropump-based drug delivery system and received a best PhD thesis award from Institute for Smart Structures and Systems (ISSS), India. In December 2015 he joined Cornell University as a Postdoctoral Associate. During his postdoc, he worked on a waferscale miniature particle accelerator project in collaboration with Lawrence Berkeley National Laboratory. K B Vinayakumar, Prachit G. Kulkarni, M. M. Nayak, N. S. Dinesh, Gopalkrishna M. Hegde, S. G. Ramachandra, and K. Rajanna.